Microsoft has released a quick publish article for Outlook Connectivity issues to Exchange. Version of Outlook affected is 2007 and above. Here's a scenario we recently had reported: Machine running Outlook 2010 installs KB 2553248, and now Outlook crashes when they try to open meetings that were created using Exchange Web Services (EWS). 1) Create a Meeting request using EWS and send it to yourself. When you receive it in Outlook 2010 as a No Response Required meeting request, just selecting the meeting request crashes Outlook. 2) Opening the meeting in the Organizer's Calendar crashes Outlook. 3) If the attendee sends an acceptance, selecting the acceptance in the Explorer crashes Outlook. 4) Dismissing reminders crashes Outlook. The issue is happening because there was a change made in Outlook which caused it to crash when it encounters a Time Zone property on a meeting which does not have a name. If we use MFCMAPI to dump out the properties of a Meeting we can see the problem is with PidLidAppointmentTimeZoneDefinitionStartDisplay. Notice that szKeyName is null. Fortunately, the fix is now available and included in the June 2012 CU for Office 2010. 1) Uninstall KB 2553248 (obviously). 2) Fix the Exchange Web Services code so that new meetings that are created do not crash Outlook. 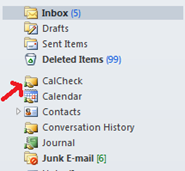 Missing Outlook Calendar Entries .. X-files??? There will be times that we encounter issues that user reports that certain calendar entries / invites that goes missing. Now here’s the life server, I chanced upon a tool, CalCheck, that was created by one of Microsoft Escalation engineer . Download CalCheck from the Microsoft Download Center. Important: The 64-bit version of this tool is only for use with the 64-bit version of Microsoft Outlook 2010. The download is a ZIP file - just unzip it in an empty directory, open a command window in that directory, and run it. The Calendar Checking Tool for Outlook (CalCheck) is a command-line program that checks Microsoft Outlook Calendars for problems. 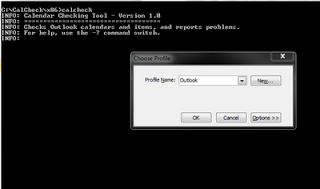 The tool opens an Outlook profile to access the Outlook Calendar. It performs various checks, such as permissions, free/busy publishing, delegate configuration, and automatic booking. Then each item in the calendar folder is checked for known problems that can cause unexpected behavior, such as meetings that appear to be missing. As CalCheck goes through this process, it generates a report that can be used to help diagnose problem items or identify trends. You also have the option to run CalCheck in Server Mode. In Server Mode, CalCheck attempts to open all mailboxes on the Exchange server and perform the checks listed in the "Checks Performed" section of this article. Server Mode generates a CalCheckSvr.log file, which lists the mailboxes that have errors. Additionally, CalCheck generates a separate CalCheck__.log file for each mailbox. This log file shows more mailbox-specific detail. To use Server Mode, you must use a messaging profile associated with an account that has permissions to all of the mailboxes on the specified Exchange server. To run server mode, use the “-S” command-line switch. If you don’t specify a profile on the command line - then you will be prompted to choose a profile as in the above screenshot. 02/17/2012 05:13:46PM Successfully located and opened the local free busy message for this mailbox. 02/17/2012 05:13:47PM Publishing 2 month(s) of free/busy data on the server. 02/17/2012 05:13:47PM Resource Scheduling / Automatically accept meeting requests is disabled. 02/17/2012 05:13:47PM No delegates are set. 02/17/2012 05:13:48PM WARNING: No Subject on this item. You may want to add a Subject to this item. 02/17/2012 05:13:50PM ERROR: Detected a duplicate item in the Calendar. Please check this item. For problem items that are found - the report gives you information you can use to go and find the problem items so you can remove it, recreate it, or if possible - fix it, etc. CalCheck [-P ] [-M ] [-S ] [-A] [-F] [-R] [-V] [-No] CalCheck -? “-M” You must use the legacyExchangeDN for the mailbox, and the profile you use must be for a mailbox that has permission to open that other mailbox. You can view all items in the Calendar by opening the CSV in Excel. You can sort and filter items based on things like start time, subject, recurring items, etc. This can be useful for finding problems that can’t be detected by CalCheck, or that currently aren’t looked for by CalCheck. If you find a problem item in the CSV, you can open the Calendar and put it into Category view to get a similar view of the Calendar in Outlook. This view shows all the items in the Calendar as a list - similar to looking at emails in the Inbox folder. You can sort on things here like Subject, Location, Start, and End. This can be used to find the problem item in the Calendar folder when it is difficult or impossible to find in the normal Calendar view. Items can easily be moved back to the Calendar, or can be deleted from here if not needed, or corrected if possible and then placed back in the Calendar. The general rule of thumb would be to recreate the item and delete the item that was moved out to the CalCheck folder. 12/21/2011 05:27:25PM ERROR: dispidApptStateFlags is 1, but the address for this mailbox does not match the organizer address. 12/21/2011 05:27:25PM Check to ensure the Organizer Address is correct, and whether or not this user should be the organizer. The mailbox here is the same actual mailbox - but because the legacyExchangeDN changed - it is marked as an error. The “-No dup” will omit the duplicate item detection - as this test creates an in-memory list of items and tests each item against that list. This can slow the process down a bit due to the extra processing and memory usage. § CalCheck is a reporting tool only. It will not automatically modify or “fix” any items. It will move items detected as error items to the CalCheck folder if the “-F” switch is used, but otherwise no changes will be made to any items. 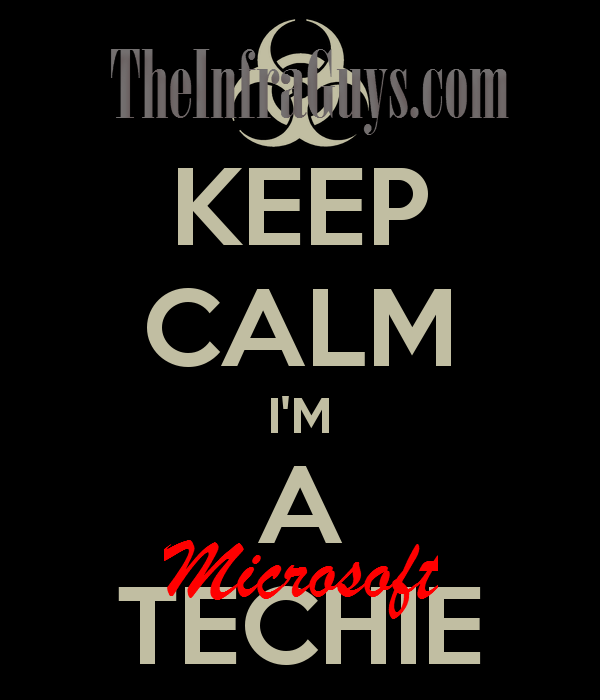 § CalCheck only works against Calendars located on an Exchange server. It will not work against other servers, such as IMAP or POP3, etc. § CalCheck can’t find every kind of corruption that can possibly happen to a Calendar item. However - it can find many known problems that can be knocked out without having to spend time combing through a Calendar and/or contacting a help desk. Since the introduction of Cached mode in Outlook, we've seen issues with users not understanding why additional mailbox access was so slow. Personal mailboxes were cached but unfortunately it was not possible to cache the additional mailboxes, resulting in a confusing experience for end-users. There already was an Outlook 2007 post-SP1 update (KB 957909) which made caching of additional mailboxes possible, but since the introduction of Office 2007 SP2 it makes more sense to just upgrade Office 2007 to SP2. add a DWORD value named CacheOthersMail and assign it the value of "1". In Outlook select File and then click Cached Exchange Mode. Clear the following options when enabled: Download Headers and then Full Items, Download Headers, On Slow Connections Download Only Header.